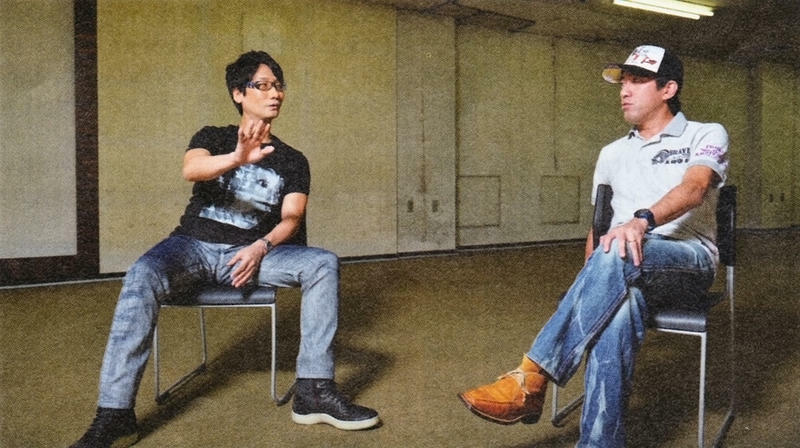 If I was going to make a short list of game developers I'd like to get talking in the same room, Hideo Kojima and Shinji Mikami would definitely be on that list. Weekly Famitsu had me interested, then, when it did just that in a recent interview. The two discuss each others' newest work and horror in general. On Mikami's The Evil Within, Kojima is his usual vague self, saying that "Survival horror is Mikami's child, so I believe The Evil Within will be his showdown with the genre." In a rare show of humanity, though, it appears the success of P.T. has Kojima a little concerned. "Honestly, the response to P.T. has been so positive, I'm currently pondering 'what should I do for Silent Hills?" "I think you should make Silent Hills an extension of [P.T.]. I felt truly 'pure' horror from [it]," suggested Mikami. Kojima also talks a bit about why he chose a simple hallway as the setting for P.T., explaining that "I didn't have to worry about the cultural background of the player. I wanted people to experience the fear of not being able to escape a world where the was almost no information on the screen." Mikami added that game creators often want to put as much information on the screen as possible, which can keep the player from focusing on what is actually scary.